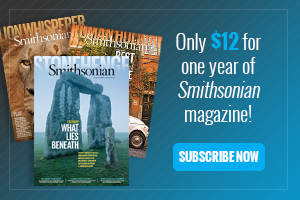 Make Way for the Thruway chronicled the men and machines who built America’s highways to accommodate the country’s growing love affair with the car. 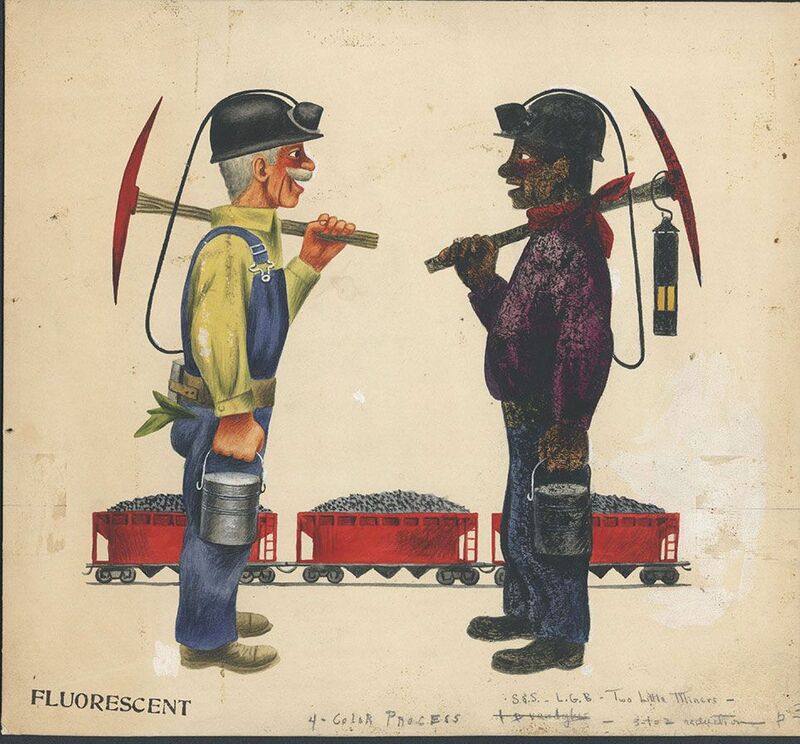 Richard Scarry’s images of the two little miners highlighted and celebrated the life of the everyday working man. 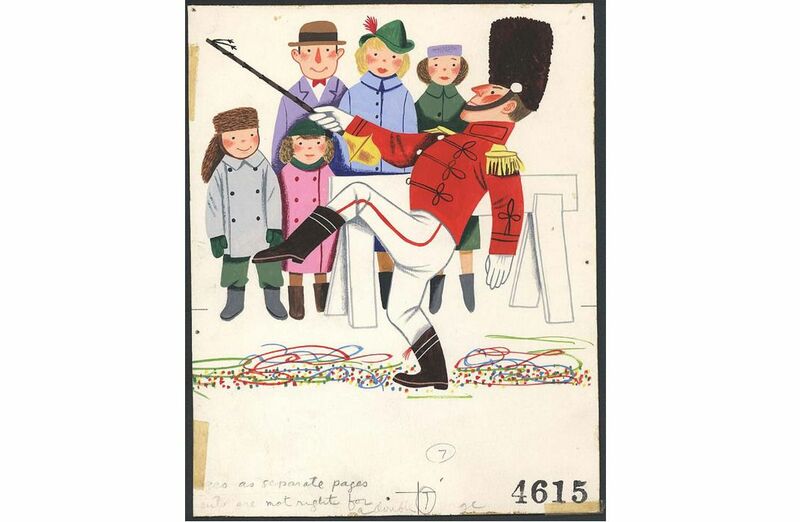 Many Little Golden Books explored the occupations thought of as essential to civil society—fireman, policeman, mailman—and encouraged children to observe, identify, and admire them. Some of the most famous Little Golden Books were early experiments in product placement. 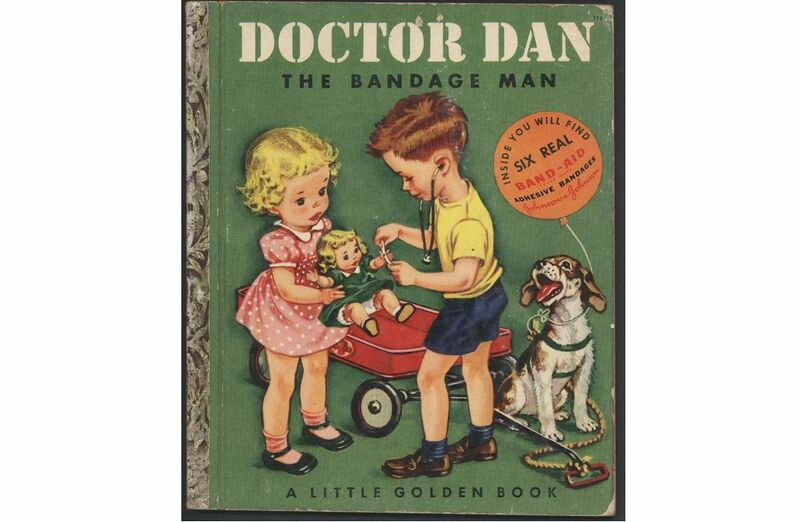 In addition to teaching basic safety tips to young children, the Doctor Dan and Nurse Nancy books included junior-size Johnson & Johnson Band-Aids. The front cover of Little Lulu and Her Magic Tricks contained a small package of Kleenex tissues. 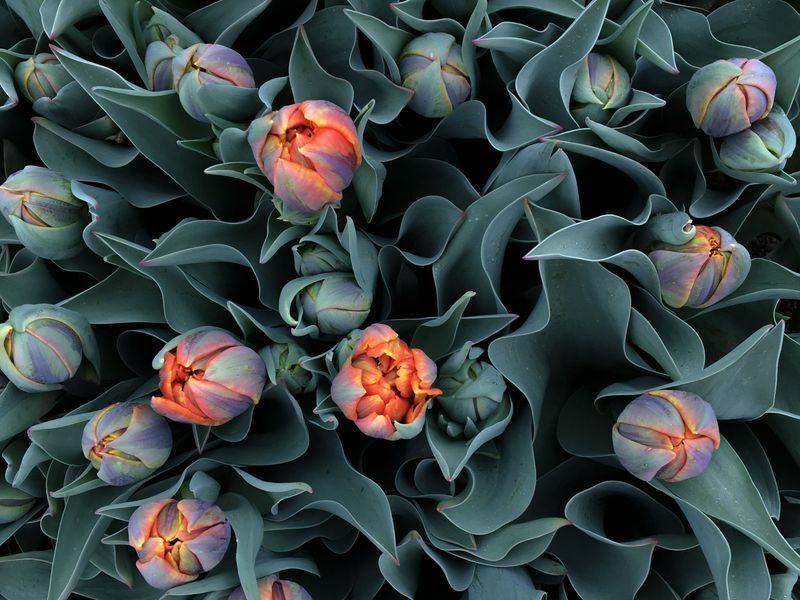 A well-known cartoon character, Little Lulu promoted Kleenex’s practical use, but also demonstrated how tissues could be used to make people, animals, or flowers. 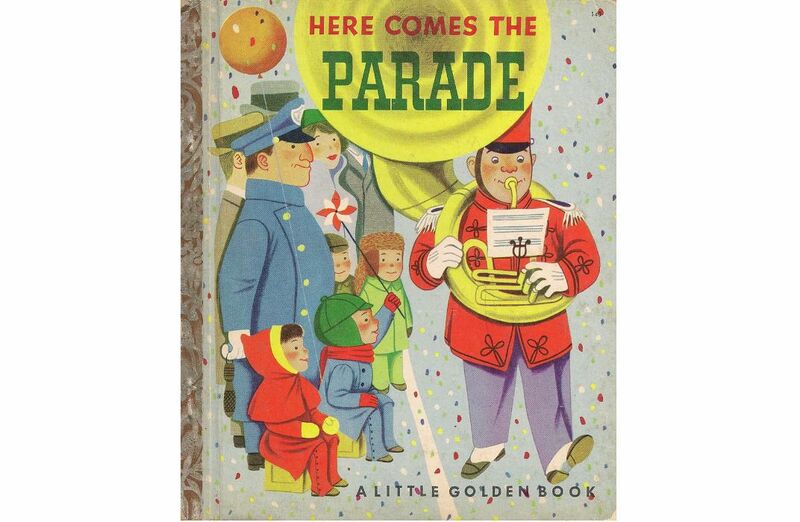 In Here Comes the Parade, Richard Scarry’s illustrations bring to life the annual Macy’s Thanksgiving Day Parade and its many sights and sounds, including a safety-conscious policeman, spectators of all ages, marching bands, and balloon characters from Howdy Doody to Mickey Mouse. Many Little Golden Books focused on stories of everyday life from a child’s perspective—the “here and now”—rather than the fairy tales, folk tales, and nursery rhymes that had previously dominated children’s literature. 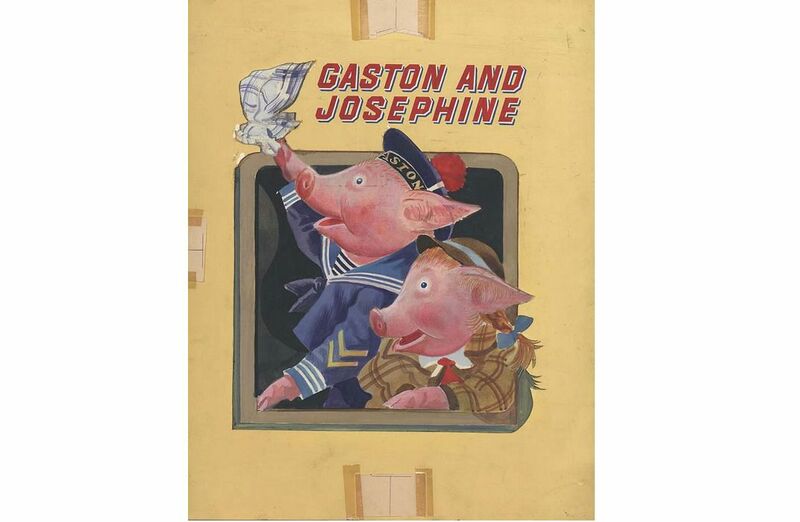 Gaston and Josephine chronicles the escapades of two French pigs who run away from their homeland and sail to America. 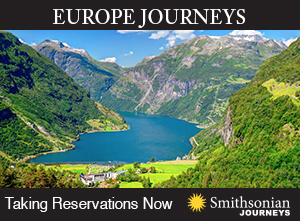 The story mimics the life of illustrator Feodor Rojankovsky—a Russian émigré who fled Europe in 1937 to escape increasing political unrest and found a home in the growing children’s literature market in New York. Rojankovsky’s human-like animals bridge the old world fairy-tale style of European illustration and the more realistic perspective of later Little Golden Books. Books like Come Play House and Susie’s New Stove modeled appropriate adult behavior for young learners. 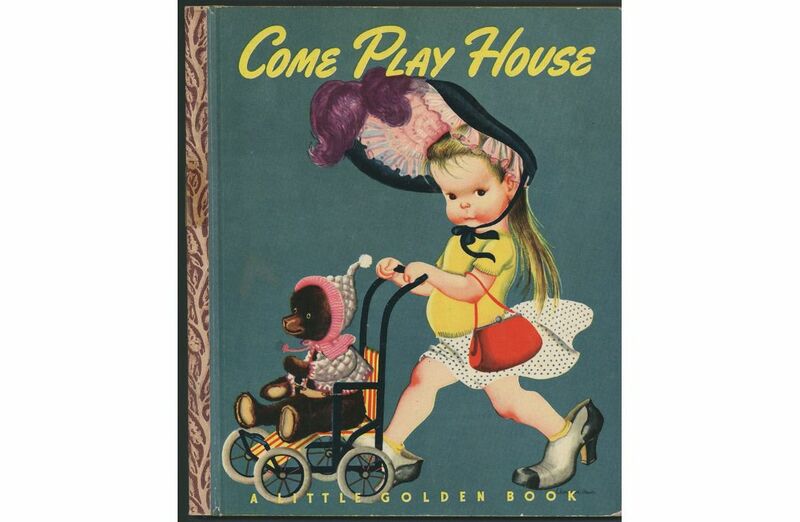 Children’s books reflect the values of the greater society in which they are created, and Little Golden Books showed children as “little grownups” attending to the duties of caring for home and family. 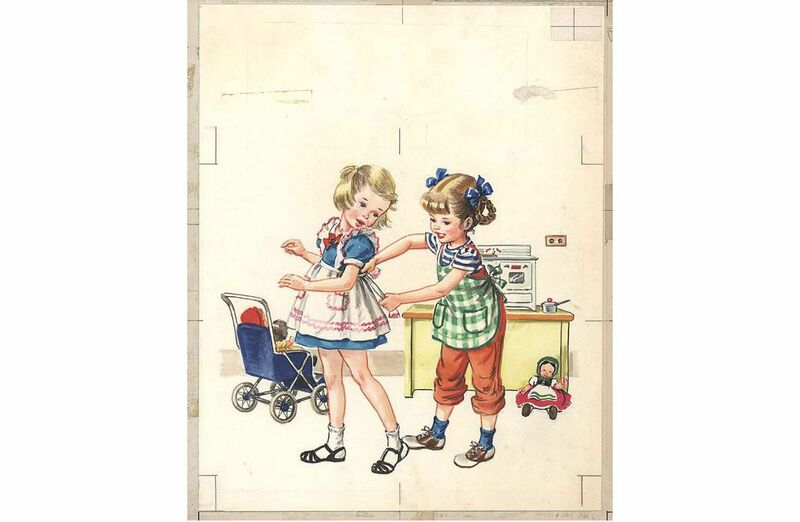 The female characters in many Little Golden Books personify the cultural norms that characterized women’s roles in the 1950s. Tibor Gergely was an established artist in Budapest when he fled at the outbreak of World War II and found safe haven in New York. 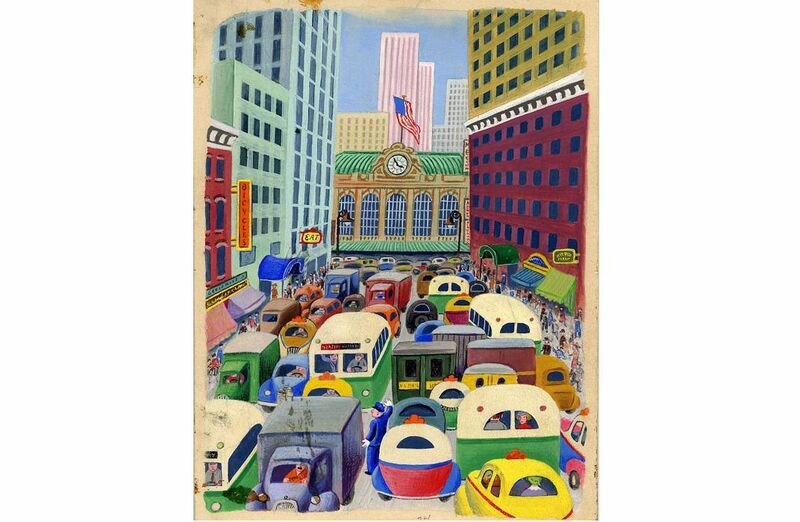 The illustrations from The Taxi That Hurried re-create the hustle and bustle of postwar New York City, including its variety of people and modes of transportation. 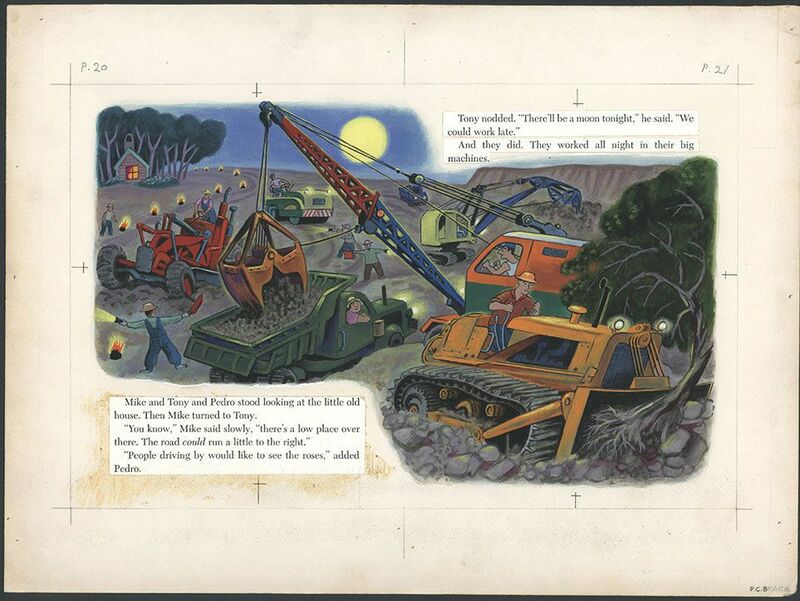 In 1942, when children's books were a luxury for most American families, Little Golden Books hit the market at the affordable price of 25 cents each. Colorful, sturdy, and designed for beginning readers, the books with the now-iconic shiny foil spine made reading accessible to all children and, according to American History Museum curator Melodie Sweeney, "represented an enormous shift in thinking about how, where, and what children should read." 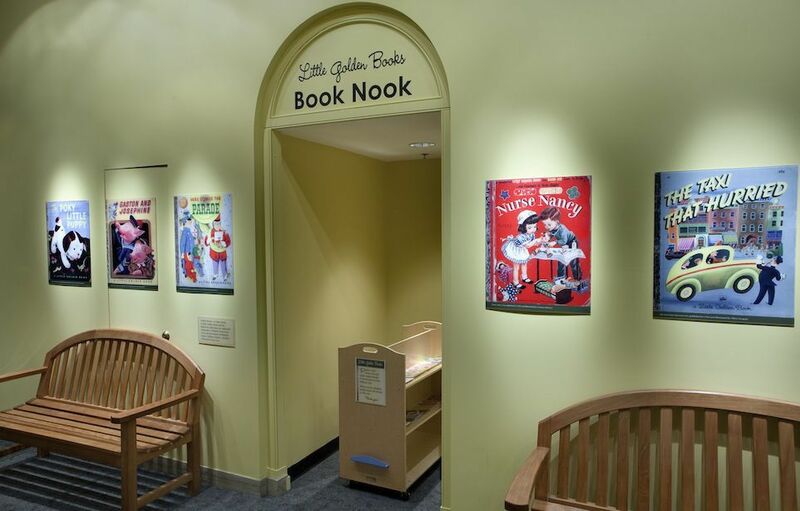 The museum's Little Golden Books exhibition, on view until January 2014, reveals the series' role in larger cultural trends and allows visitors to read classics including The Poky Little Puppy and The Saggy Baggy Elephant in a family-friendly "Book Nook." 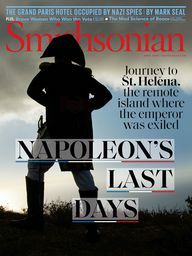 See selected Little Golden Books covers and artwork in the following slideshow. Vicky Gan, a former editorial intern at Smithsonian Magazine, currently works for the Washingtonian.